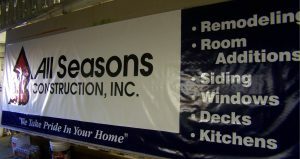 At Custom Quik Signs we make signs and banners fast. Banners are particularly useful for promoting events and special gatherings, special product offerings, etc. Banners are a cost effective way to get your message out in a bold way. 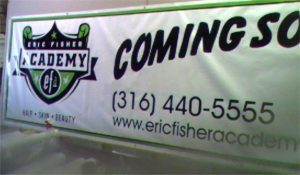 Banners are typically used as a form of temporary advertising, but can last for quite a while if install correctly. From simple text layouts to full color graphics with photos, etc. we make all sizes and kinds of banners to meet your need with quick turn around and great pricing. We are able to design the art work for digitally printed banners or can use your art work if you have already designed it. We even can still make butcher paper hand painted banners if applicable. We have made a lot of these paper banners for birthdays, store closings and various social events. Below are a few samples of what we have done. Call us for a quote. We can make whatever size and quantity you need.